Lot Of EIGHT Misc. Paper In Oil & Other Type Glass Sealed Film Capacitors. 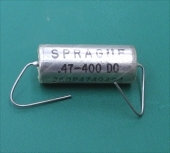 New Sprague Vitamin Q Type .47UF 400VDC Glass / Oil Capacitor, Guitar Amps Etc. 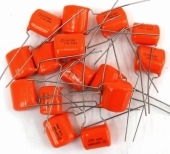 Lot Of 4 NOS .22 UF 200V 5% Sprague Quality Glass Sealed Capacitors. 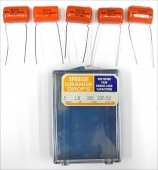 FIVE NOS Unused Sprague Orange Drop 2UF 200VDC Capacitors For Guitar Amps Etc. 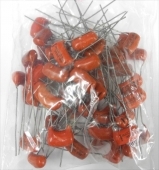 Qty 46 NOS Sprague .056 Orange Drop 100V 225 Capacitors for Gibson, Les Paul 335, etc.